An iconic, sardonic rock ‘n’ roll magazine with Detroit roots that ceased regular print publication two decades ago is planning a comeback. 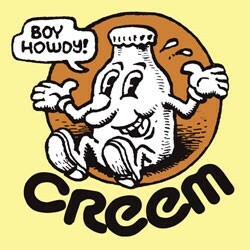 The publishing team behind Creem says it’s restarting the presses in September for the magazine that officially shut down in 1988, was revived a few years later and has been online-only since 2001. They envision the quarterly publication as part of a broader music network that includes mobile apps and streaming music videos. The aim: attract old and new readers. Magazine expert Samir Husni says the idea is great but execution will be difficult. There was talk of another Creem return after Cameron Crowe’s semi-autobiographical movie “Almost Famous” renewed interest. Though known for his Rolling Stone connection, Crowe wrote for Creem as a teenager under editor Lester Bangs.